More photos from the action here. 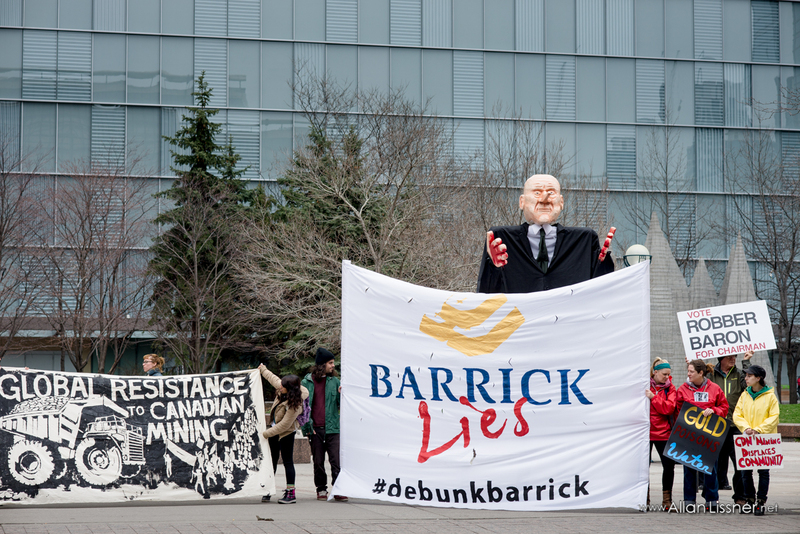 A 14-foot effigy of Barrick Gold chairman Peter Munk with a Pinocchio nose illustrated what protesters thought about Barrick's claims of social responsibility. Outside the company's annual general meeting, over a hundred people braved the rain to tell shareholders to divest from the gold mining giant. Inside the meeting, after Peter Munk blasted NGOs, environmental regulations, and the governments of countries hosting his mines, speakers from Mining Watch Canada and the Dominican Republic took the mic to condemn Barrick's treatment of activists and people from impacted communities. Earlier in the meeting, two activists from Greenpeace were arrested while unfurling a banner condemning the Pascua Lama mine. 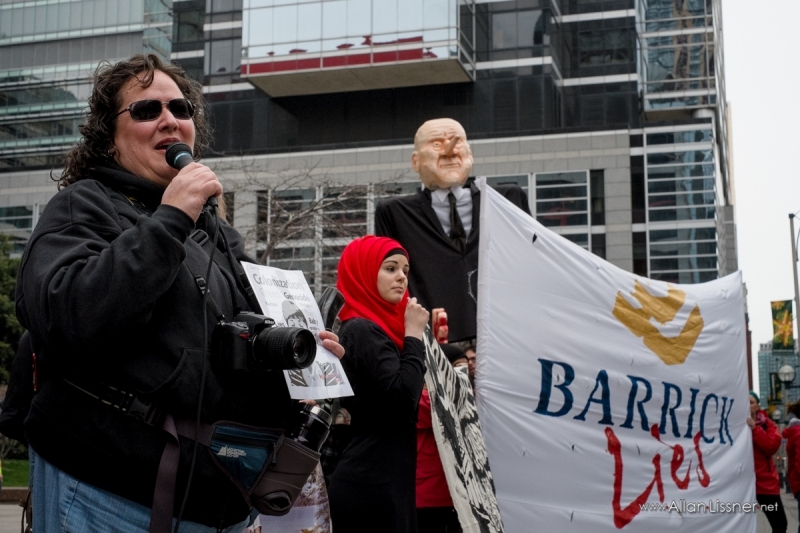 The protest coincided with the release of "Debunking Barrick" a report from protestbarrick.net , which uncovers the uncomfortable truths behind Barrick's PR spin. 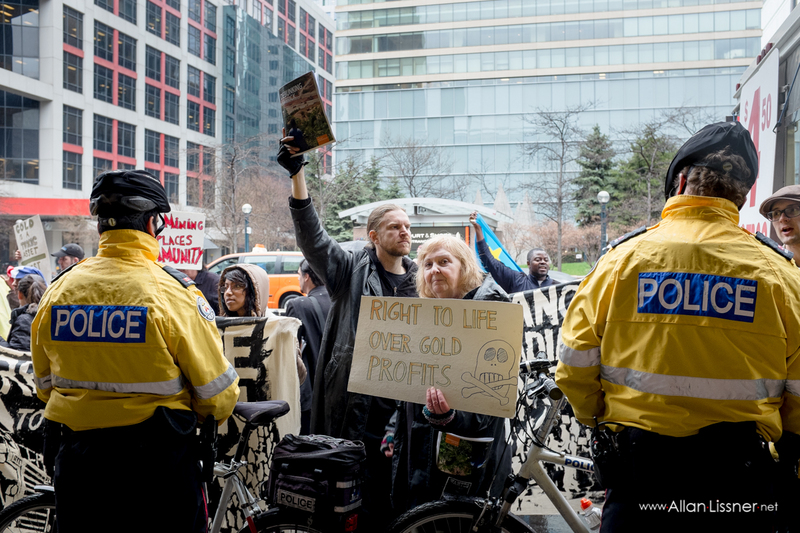 "Barrick robs Indigenous people of their lands, poisons waterways and agricultural land, supports brutal police and security operations, and sues anyone who tries to report on it," says the report's editor, Sakura Saunders. "But despite repression and a sophisticated PR machine, the truth is getting out about this corporate criminal,"
In July, Argentina's Supreme Court ordered that laws protecting glaciers would apply to Barrick, despite their efforts to avoid them. A Chilean court recently halted construction at the Pascua Lama project due to environmental contamination issues. 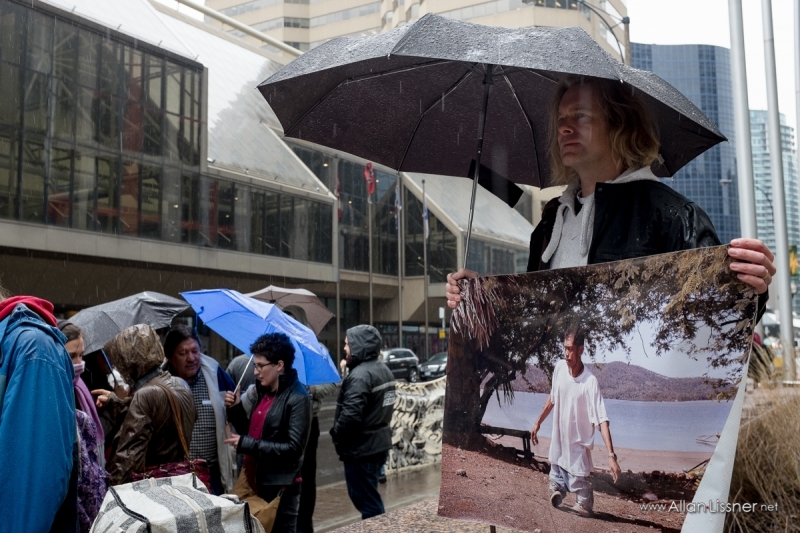 Barrick appealed the decision but too was denied by the Chilean court. The cost of the gold mine has shot up. 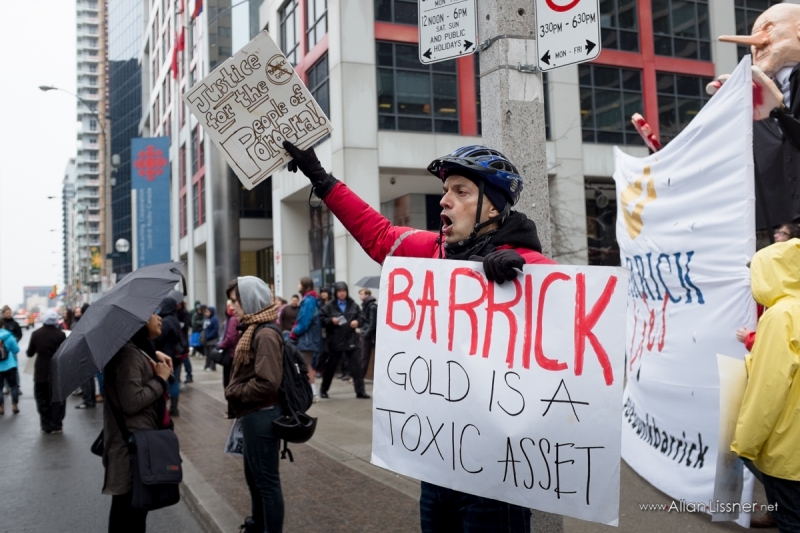 The price of Barrick's stock has tumbled. "Barrick has spent several years violating and blocking the application of the law, and as a result the Pascua Lama project should be permanently cancelled," says Maite Ruggieri, Greenpeace Andes activist who came from Argentina to bring this message to Barrick's AGM.